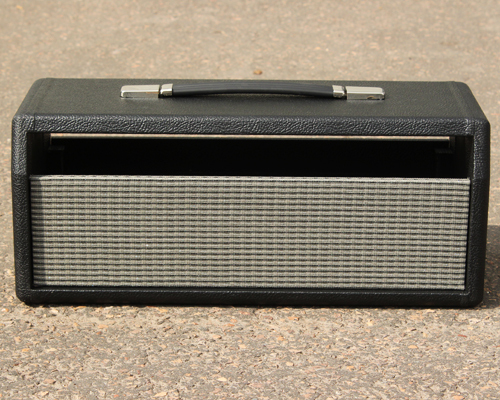 This is a low profile head cabinet for a Blackface Princeton head (AA964) build, There is not enough space to install the reverb tank in this head cab, instead use the Princeton Reverb head cab in the shop. Made for our PR chassis, please check the opening to ensure your chassis will fit, if it needs to be slightly large please contact use before ordering. Chassis mounting holes are not drilled, this will allow any chassis that will fit the opening to be used.